St Francis Sport will proceed this year with our campaign to promote the greater St Francis as the prefered sporting destination. 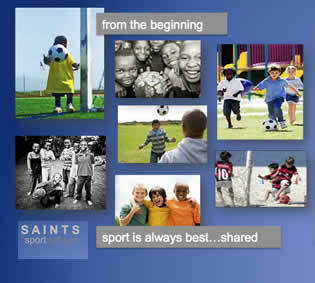 The establishment of the Saints Sports School. The development of sport under the juniors and previously disadvantaged groups. The upgrading and marking of various dedicated mountain bike and trail run routes. The organising of various sporting events. 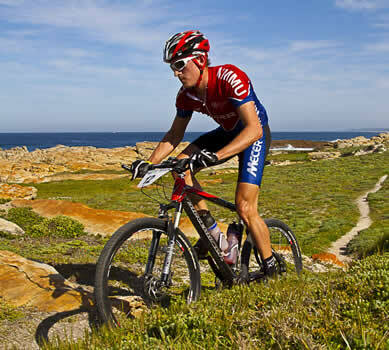 To establish mapped and marked hiking, running, paddling and cycling routes in the greater St Francis. The upgrade of the ablution facilities, a club house and storage facilities where all events can start and finish from. 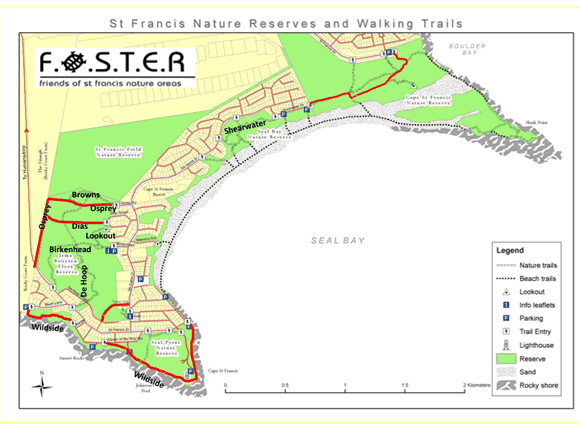 St Francis Sport has earmarked a few routes suitable for mountian biking, hiking and running through the nature reserves and along the coast line. 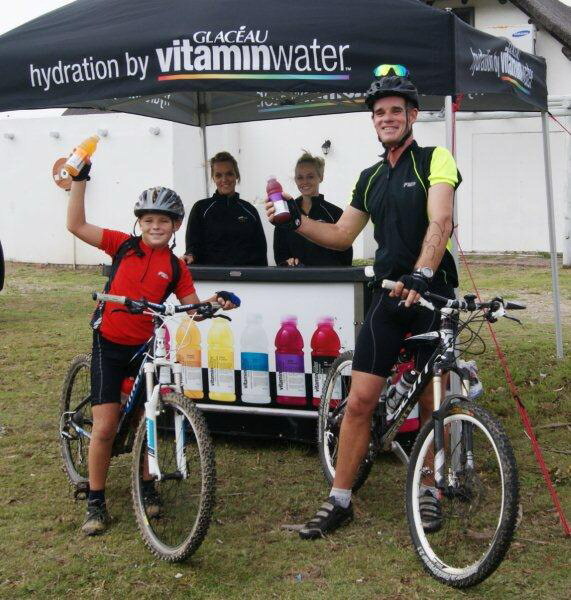 St Francis Sport has worked together with FOSTER (Friends of the Nature Reserves), the Kouga Municipality as well as the Department of Environmental Affairs to establish the best routes with the least impact on the environment, especially where mountainbiking is involved. Some areas are in desperate need of maintenance before these routes can be clearly marked and is a priority.  St Francis Sport has obtained permission from the Kouga Municipality to erect signs throughout the Village indicating safe running and cycling routes, as well as swimming and paddling routes on the canals. It is also envisaged that these routes be printed on maps for the visitor to the area. St Francis Sport earmarked the building of a run/walk path along St Francis Drive. St Francis Drive is the only road linking the canals and Port St Francis with the business centre and carries heavy traffic. There is no alternative for runners, cyclists, mothers with babies in push prams and little children on bicycles as well as those in wheel chairs. It is also the road used for the cycling and running legs of organised sporting events. It is not safe at all. St Francis Sport obtained permission from the Kouga Municipality to build a track and the estimated cost is R120 000 and a further R180 000 to complete the track to Port St Francis. St Francis Sport supports the building of the Saints Sport School which will include a sports field, club house and training facilities. 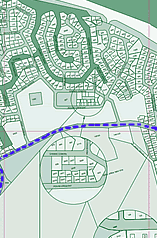 A suitable area in the Village has been earmarked to be secured for the proposed sport school. 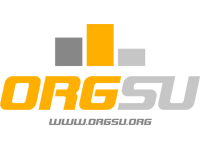 Is a non-profit organization and was established by the four founder trustees, Sir Michael Edwardes, Garth Wright, Dave Callaghan, and Eric Stewart. To share their love and passion for sport in a productive and encouraging environment, mainly for children at a junior level. Provide a healthier future, for all the children of the greater St Francis through engaging them in various sporting codes. Encourage a love for sport. Help the local schools who may not have the necessary equipment, facilities or coaches. Encourage a higher level of sporting achievement at grass roots level. Encourage the concept “a healthy body keeps a healthy mind”. The school will consist of a Clubhouse with change rooms, a lecture room, offices and kitchen facilities along with a sports ground called the St Francis Oval. A separate section would be earmarked for a Community Church and parking area. This could also be utilised as a Village Hall where community events could be hosted. Tourism – additional events can be included and planned with the facilities available. Schools – enhance the role of sport at the local school. Municipality – A lasting legacy, better public relations and land value would be enhanced. This exciting new initiative cannot be realized without the buy-in from the local Municipality, namely in the land (Erf. 400) to be made available on which to establish the Oval, Clubhouse and the Community Church. Sir Michael Edwardes – born 11th October 1930, in South Africa. Director of a number of public and private international companies and a founder member of the Queen’s Award for Industry Review Committee (he was knighted in 1979 by the Queen after becoming the Chairman of British Leyland and attempting to turn the large company around). He sponsored the Doubles Court in St Francis Bay and continues to be involved in the international tournament that is played every year here. He is a passionate supporter of squash on all levels. Garth Wright – born 9th September 1963 in East London, Eastern Cape. Widely known for the years that he played for South Africa in the game of Rugby (1986 – 1992 : 7 caps) as a Scrumhalf. Popular public speaker and passionate fundraiser. His company Wright’s Surveillance founded “Ironman for the Kidz” which raises funds through corporate sponsorship of international athletes that compete every year in the PE Ironman. Last year they received just over a million rand for their respective charities that they support in the P.E. community. Dave Callaghan – born 1st February 1965 in Queenstown, Eastern Cape. He played 29 times for South Africa during his long cricketing career and still plays Super League for Old Grey (based in Port Elizabeth) to this day. Founder of the Dave Callaghan Sports Academy & Callas Cricket Academy which works hand-in-hand with the Chevrolet Warriors in order to provide good support & training for up & coming cricketers. Eric Stewart – born 29th July 1963 in Pretoria, South Africa. Founder member of St Francis Sports Trust which seeks to promote local sport and St Francis Bay as the preferred sporting destination for various sporting activities, while uplifting the local facilities for all to enjoy. Eric is passionate about sport and its benefits, especially on the junior side – he promotes this by arranging various sporting events and making sure that children are involved from all ages. The local SUPERSPAR has agreed to become involved in providing nutrition to the children attending the after care facility at the School. Without proper nutrition, no one has enough stamina to compete effectively. The School will provide a safe environment where children will receive a healthy meal, do their homework and enjoy a sport of their choice. We are aware that this whole project will be a long term endeavor in regards to training and development – top class athletes or facilities are not produced overnight. Christy’s Catch Crab Walk & MTB Ride a windy affair! Wednesday morning, March 21, was the perfect morning to tackle the 15km Christy’s Catch Crab Walk or even the 30km or 50km MTB option… till about 09:00! Good thing none of the 157 competitors knew that, however, when an event turns into a challenge, the fact that “I have done it” becomes so much more rewarding.